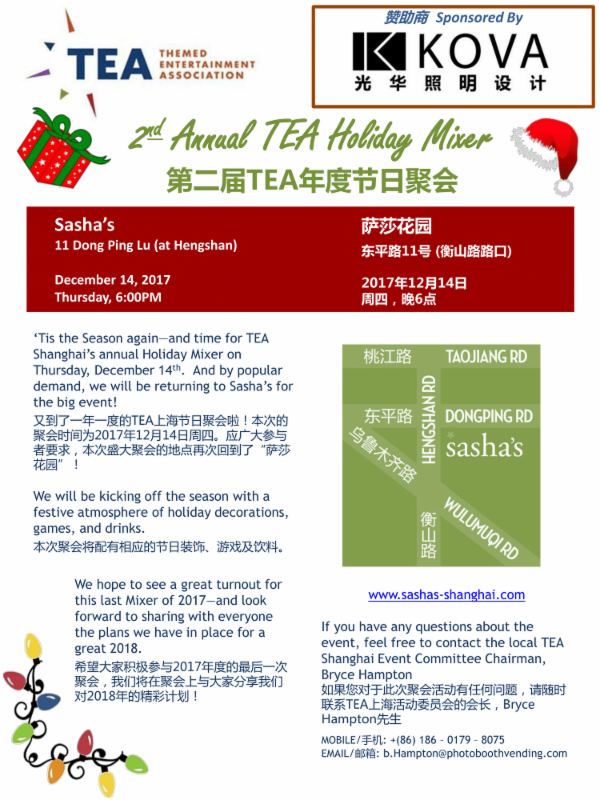 'Tis the Season again - and time for TEA Shanghai's annual Holiday Mixer on Thursday, December 14th. And by popular demand, we will be returning to Sasha's for the big event! We will be kicking off the season with a festive atmosphere of holiday decorations, games, and drinks.